update: Scott shares this very sad news from Big Tree Park. The Senator was destroyed by fire this morning. 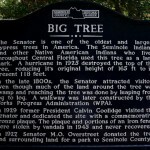 Driving on 17-92 you’ll see a sign pointing to Big Tree Park, “Home of The Senator”. 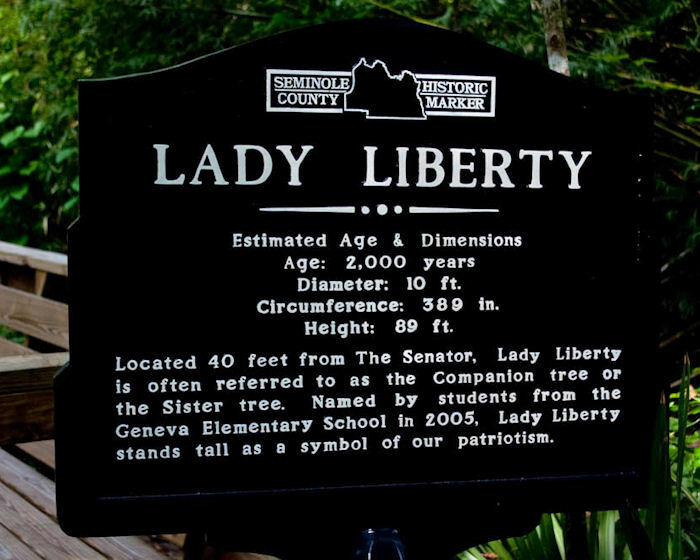 If your curiosity wins out and you take the side road you’ll find a small park with two very large trees to view – The Senator and his companion Lady Liberty. 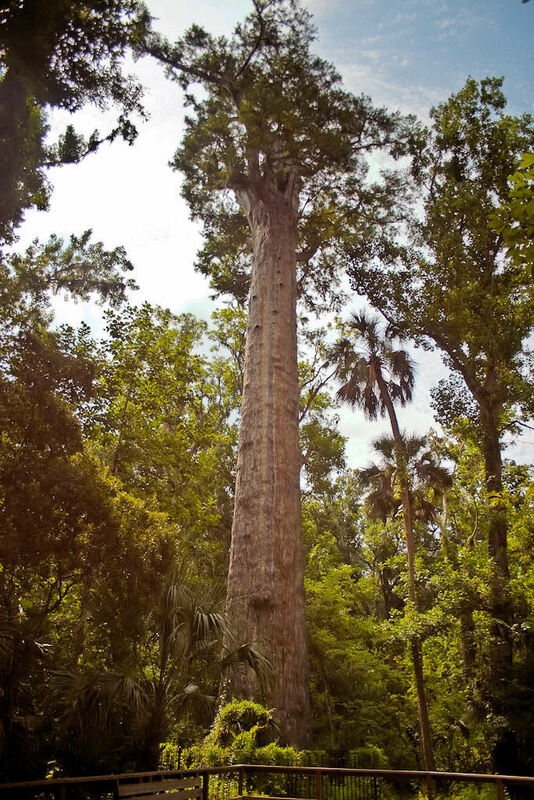 The Senator is approximately 3500 years old, 118 feet tall and has a diameter of 17.5 feet. The tree has been attracting tourists since the late 1800s. 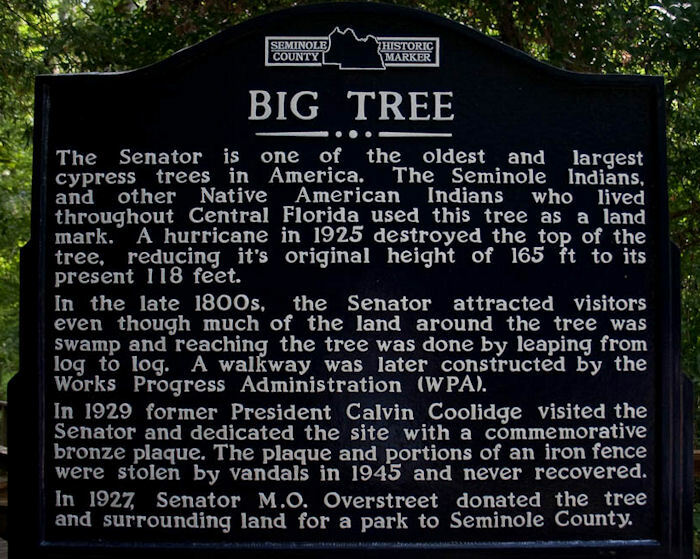 The land was donated to Seminole County for a park in 1927 by Senator M.O. 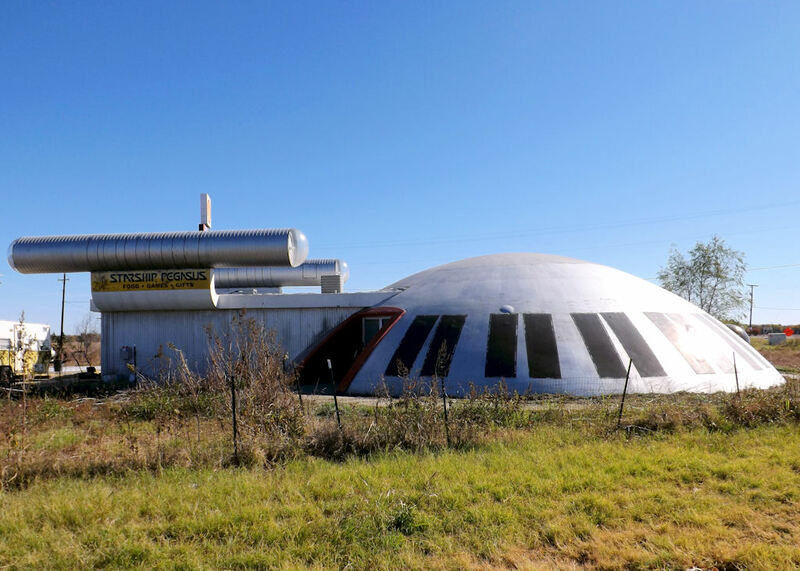 Overstreet. In 1929, it;s dedication ceremony was attended by President Calvin Coolidge. 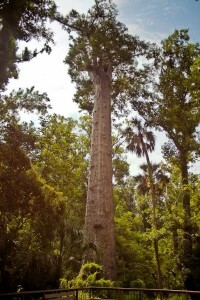 Forty feet away from The Senator is another large tree – this tree was previously known as “The Companion Tree” but was renamed Lady Liberty in 2005 by students from a local elementary school. 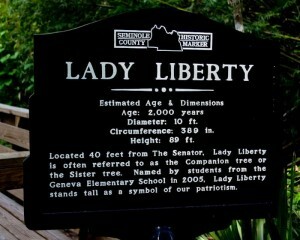 Lady Liberty is around 2000 years old, stands 89 feet and is 10 feet in diameter. Bigfoot Lives In Happy Camp! Oh, that’s terrible! What kind of imbecile would intentionally set fire to something like this? I mean, what would be the point, that’s so sad and disgusting. Well, I just read the article and they don’t think it’s arson now…so I retract my statement. Now it’s just sad. Well, that was probably my fault because I had the original headline, which included the arson theory. Looks as if they redirected that link to updated info.